Literary Features Syndicate – Page 85 – Reviews of the best new books. Plus author interviews and news coverage in the world of books. Established 1991 by Nicholas A. Basbanes. Editor: Barbara Basbanes Richter (National Book Critics Circle Voting Member.) Young Adult Book Reviewer: Nicole Basbanes Claire. Children's Book Reviewer: Abigail Constance Richter. © 2018 Literary Features Syndicate. Sometimes, a bowl of soup is perfect, except when it’s not. 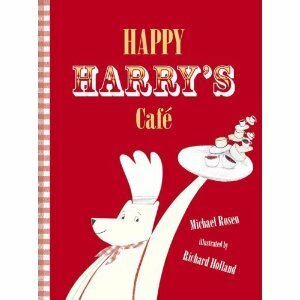 “Happy Harry’s Café,” by Michael Rosen, illustrated by Richard Holland; Candlewick Press, $16.99 32 pages, ages 3-5. English poet Michael Rosen (“We’re going on a Bear Hunt”) takes a classic Jewish joke and crafts a quirky rhyme around it in this warm and toasty picture book. Harry, who appears to be a polar bear, makes the best soup in town. Ryan the Lion, Jo the Crow, even Matt the Cat rush in to taste this perfect potage. “Take it easy!” Harry admonishes his hurried customers, but perhaps Harry has taken his own advice once too often. One day Matt the Cat says the soup is no good, and from there develops the gag to its quirky punchline. Rosen’s easy to follow rhymes are printed in large type which resemble woodblock cuttings. This allows budding readers to pick out words like “soup” and “spoon” on their own. Veteran illustrator Richard Holland’s mixed-media illustrations are whimsical and fill each page. “Happy Harry’s Café” is great for reading aloud. This story, like a good bowl of lentil, chicken noodle, or matzo, will totally satisfy and warm the spirit on a cold winter day. Author literaryfeaturesPosted on November 7, 2012 Categories Book ReviewsTags candlewick press, Happy Harry's Cafe, Michael Rosen, Richard HollandLeave a comment on Sometimes, a bowl of soup is perfect, except when it’s not. With the pending arrival of the “Frankenstorm” here on the East Coast, parents may find themselves homebound this Halloween. Perhaps these spooky titles will help weather the storm. If we could hand out books instead of treats on Halloween anyway, we would tuck these into outstretched bags instead of candy. “The Itsy Bitsy Spider,” illustrated by Richard Egielski, paper engineering by Gene Vosough; Atheneum Books, $19.99, 12 pages, ages 2-4. 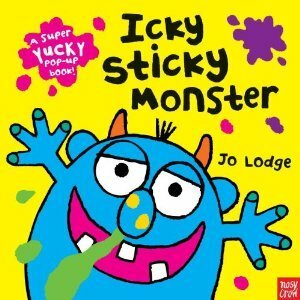 “Icky Sticky Monster,” by Jo Lodge; Nosy Crow Press, $12.99, 12 pages, ages 3 and up. “Icky Sticky Monster has an itchy nose. 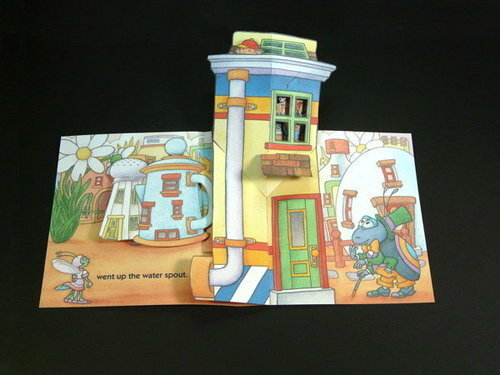 He pokes his grubby finger in – and all around it goes!” And so go the exploits of this “super yucky” monster in this delightfully disgusting pop-up book. Preschool children will delight in searching for the monster’s whereabouts in the overflowing potty and will squeal when he guzzles a jug of cabbage juice spiked with bits of slimy slugs. Five pop-ups in blindingly neon hues accompany rhymes about this revolting, nose-picking, garbage rummaging blue troll. Bestselling author and paper engineer Jo Lodge has crafted a bright and quick reading romp that harnesses the power of all things smelly and grimy to entertain young readers. 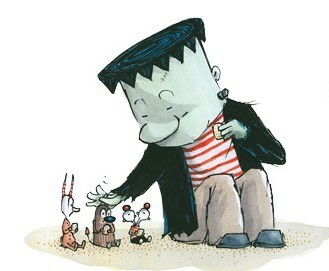 “The Monsters’ Monster,” by Patrick McDonnell; Little, Brown & Co, $16.99, 40 pages, ages 4-7. While parents may tire of “Icky Sticky Monster” before their children, both parties will enjoy “The Monsters’ Monster” over many reading sessions. Patrick McDonnell, Caldecott honor winner and creator of the syndicated comic strip MUTTS , crafts a story of three self-described “bad” monsters whose ambition is to breathe life into the meanest monster who ever lived. Wreaking destruction and striking fear into the local villagers may be the trio’s ultimate goal, but Monster has other, less dastardly plans that involve pats on the head and jelly doughnuts. Indeed, this green giant bounds around the village repeating the phrase “Dank You,” to everyone he meets. Adults will pick up on the “Frankenstein” send-up, from the bolts and wires sticking out of Monster’s body to the green skin-tone to the life-giving bolt of lightening. A story of gratitude makes “The Monsters’ Monster” a timeless tale that will carry this book from the Halloween reading rotation throughout the rest of the year. 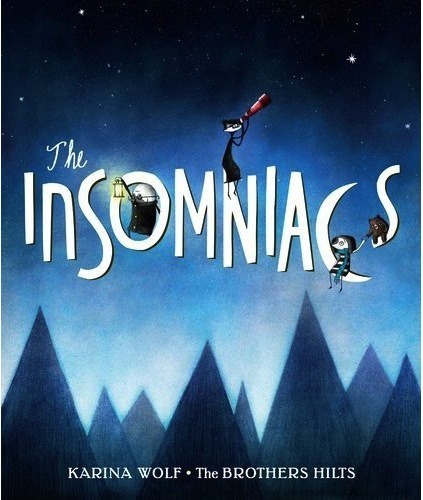 “The Insomniacs,” by Karina Wolf, illustrated by Ben and Sean Hilts; Putnam Juvenile, $16.99, 32 pages, ages 4-6. Mrs. Insomniac takes a job that is twelve time zones away, and her family makes the journey by ship across the cerulean sea to their new home. Unfortunately, the Insomniacs’ internal clocks never adjust to the new place, and the foreigners are stymied by their inability to sleep at night. 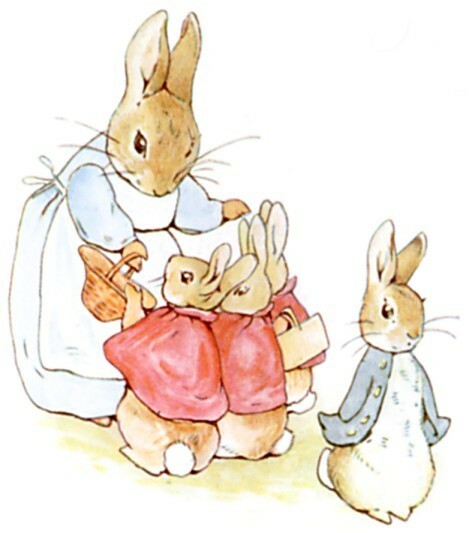 Exhausted by daytime activities and unable to remedy their nocturnal rousing, the Insomniacs make the bold decision to renounce the day and to become “a nighttime family.” Mother, Father and little Mike blossom and embrace their new world. This enchantingly beautiful tale is a knockout debut picture book by Kira Wolf. 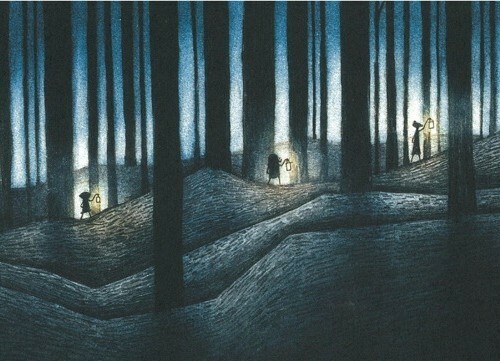 A celebration of diversity and quirkiness is treated to moody illustrations of pencil and charcoal courtesy of Ben and Sean Hilts, the fraternal illustrating team who gave “The Insomniacs its decidedly Edward Gorey flair. 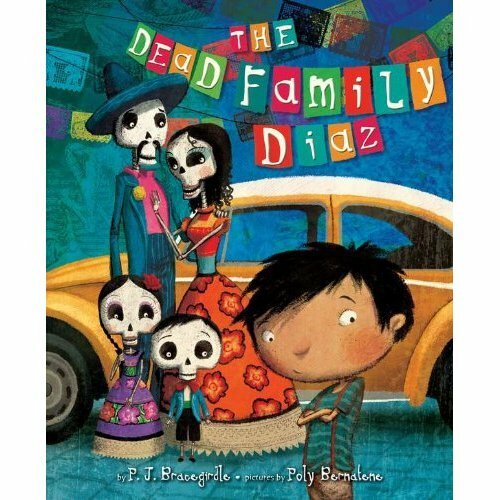 “The Dead Family Diaz,” by P.J. Bracegirdle, pictures by Poly Bernatene; Dial Books, $16.99, 40 pages, ages 5-7. 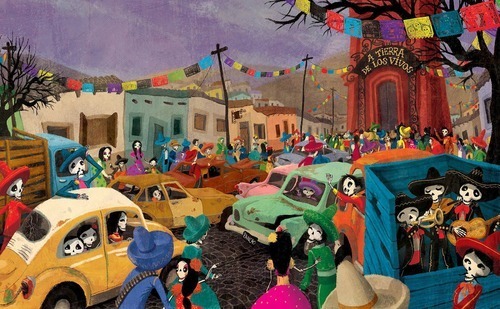 The Day of the Dead (El Día de los Muertos) is presented from the point of view of the departed but certainly not lifeless participants in this Mexican holiday. Angelito is a plucky bow-tie wearing skeleton boy whose family is preparing to visit the living, and he is unsure what to expect – he’s heard so much about the living’s hot, squishy skin, red tongues and bulging eyes. But perhaps the most frightening of all is that on Halloween, the living carve creepy faces into pumpkins to scare the dead away. The boy reluctantly joins his family on the elevator up to the world of los vivos (the living) and unknowingly meets a fleshy boy who changes Angelito’s perspective on the yearly trek. Illustrator Poly Bernatene’s digitally saturated images are brilliant, reflecting the same pigments found in traditional Day of the Dead decorations. However, the white skeletons with their dark, hollow eye-sockets and visible spinal columns may make this book better suited to kindergarten-aged children and older. A brief explanation at the end provides helpful background information on the holiday. Author literaryfeaturesPosted on October 28, 2012 Categories Book ReviewsTags atheneum books, Brown & Co., Dial Books, gene vosough, Icky Sticky Monster, itsy bitsy spider, Jo Lodge, Karina Wolf, LIttle, nosy crow press, P.J. Bracegirdle, Patrick McDonnell, Poly Bernatene, putnam, richard egielski, The Brothers Hilts, The Dead Family Diaz, The Insomniacs, The Monsters' MonsterLeave a comment on Frankenstorm Reads! I am so happy to post this story because it is about one of my former students who has chosen to inspire children through reading. In October 2011, Paul Naanou, then a junior at the Thomas Jefferson High School in Alexandria, Virginia, organized an event called “Destination Text-ploration.” The event was coordinated through an after school club called Book Buddies, whose ongoing mission is to encourage children from kindergarden through sixth grade to discover the magic and joy that comes from reading. Around eight hundred children from Fairfax County participated in book readings, author interview sessions and culture demonstrations. Book Buddies also gave away over two thousand new books to enthusiastic new readers. The event was such a success that a second event is scheduled for this December. Below are links to two videos put together by Fairfax County. 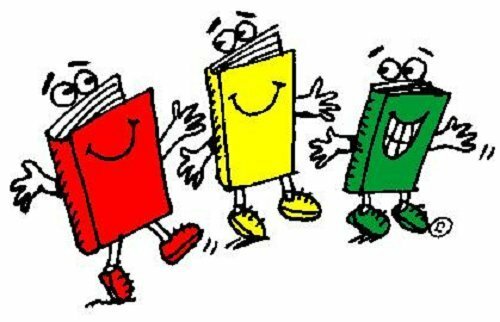 Bravo and good luck to Book Buddies for the upcoming festival! 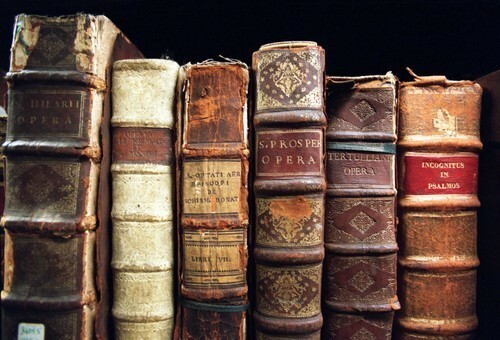 I hope you continue to help unlock the secrets and the power of curling up with great books. Also in the show are objects demonstrating the author’s relentless attention to her artistic creations, from documents showing she personally paid for the publication of her books, to overseeing the design of toys and games that were merchandised with her publications. This is a must-see exhibit if you’re in the area. “Boot and Shoe,” by Marla Frazee; Simon & Schuster, $16.99, 32 pages, ages 3-6. 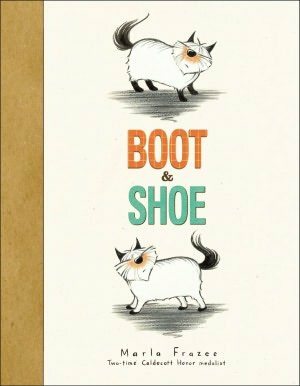 Two-time Caldecott Honor medalist Marla Frazee introduces us to Boot and Shoe, an inseparable pair of pups who share everything – a bed, a food bowl, even a communal arboreal latrine. The majority of their time is spent on opposite ends of their ranch-style home. Boot is a back deck kind of dog and Shoe naturally resides on the front porch. A squirrel, bored and mischievous, confuses the canines to the point that they spend the rest of the book on opposite porches mournfully waiting for the other to return to his rightful spot. This adorable misadventure is rendered in black pencil and gouache, giving the dogs a soft and lighthearted feel while the hand-lettered text by Frazee adds more charm. Younger readers will delight in being in on the joke that the dogs need only bark to hear each other, while older children will appreciate learning about a true friendship that conquers loneliness and grief. Two weeks into the first full month of fall we celebrate the harvests of the season and the changing multicolor landscape as the forests prepare for winter. 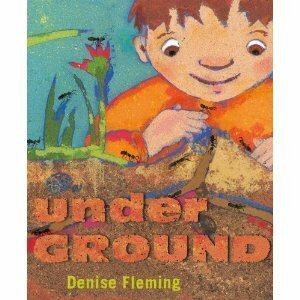 Here, we peek at burrowing critters that call the forest home in this wonderfully earthy picture book by Denise Fleming. The boldly pigmented illustrations were created by a papermaking process known as pulp painting, where the artist pours colored cotton fibers through stencils, giving the turtles, squirrels, moles and salamanders an organic appearance. Close-up examination of these creatures (often hiding in plain sight) invites young readers to explore their backyards. Slippery garter snakes, slow box turtles and wily foxes are all diggers of some sort, and the rhyming text flows with their tunnels that travel across the pages. The “creature identification” glossary details the animals’ burrowing habits in greater detail. (Many newly published non-fiction books for young readers have well-written glossaries geared to older readers and adults. This is fantastic for both parents and the eager budding scientist.) Twenty-one animals appear in this glossary and their digging habits documented concisely. So much to read, so little time. Here are three lovely books that deserve attention and will no doubt brighten any young reader’s day. 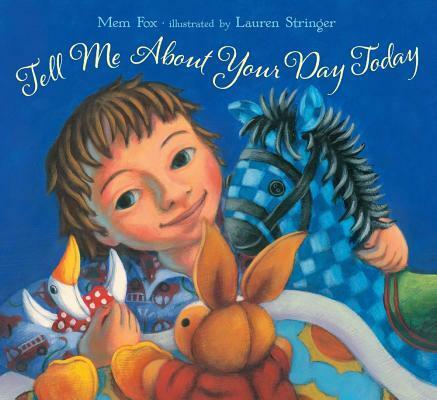 “Tell me About Your Day Today,” by Mem Fox, illustrated by Lauren Stringer; Beach Lane Books, $17.99 40 pages, ages 3-6. Bestselling author Mem Fox writes about a charming boy who loves all the comforting rituals of bedtime and shares them with his stuffed animals. Award winner Lauren Stringer’s acrylic painting on hot press water-colored paper creates a cuddly, warm and inviting atmosphere, making this an all around perfect selection for bedtime reading. 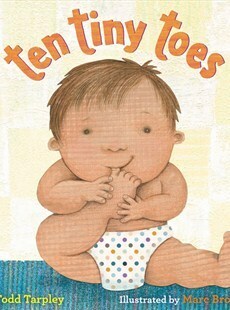 “Ten Tiny Toes,” by Todd Tarpley, illustrated by Marc Brown; Little, Brown and Company, $16.99, 32 pages, ages 3-6. Marc Brown (creator of the beloved Arthur series) joins up with author Todd Tarpley to pay homage to lovable, huggable baby toes. From birth to Halloween, parents celebrate milestones (in rhyme) with these adorable bouncing babies rendered in cut paper, gouache and colored pencil. 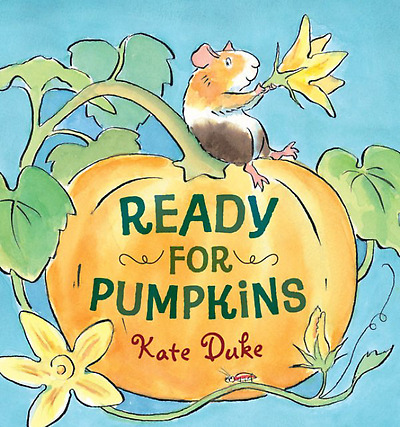 “Ready for Pumpkins,” by Kate Duke; Alfred A. Knopf, $16.99, 40 pages, ages 4-7. Join first-grade class guinea pig Hercules and a country rabbit named Daisy as they plant pumpkin seeds and watch them grow. Duke’s curious critters engaging in agricultural pursuits will delight and encourage budding farmers to cultivate their own gourd gardens.